Swag Goku goes super sayan swag and uses Kamehame swag to blast the opposing Pokémon. Can paralyze opponent. 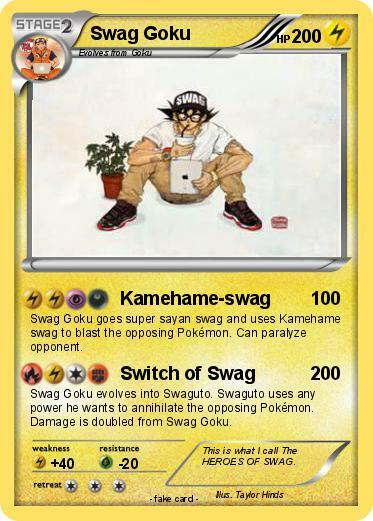 Swag Goku evolves into Swaguto. Swaguto uses any power he wants to annihilate the opposing Pokémon. Damage is doubled from Swag Goku. Comments : This is what I call The HEROES OF SWAG.